Southbourne’s Christmas countdown started with Santa’s Letterbox on Saturday 17th November until Saturday 8th December. Santa’s Letterboxes are renowned in Southbourne with receiving over 1,000 letters addressed to Santa. The most interesting and historic Santa’s letterbox is on the Community Green, Southbourne Grove, Southbourne. 2. The last posting date is 8th December for any Royal Mail letterbox. You must remember to stick a stamp on your letter or it won’t get to Santa, especially if you use ANY Royal Mail letter box . Father Christmas is very busy at this time of year so he can’t guarantee that he’ll send a reply, but he’ll do his best if you include your full name and address. 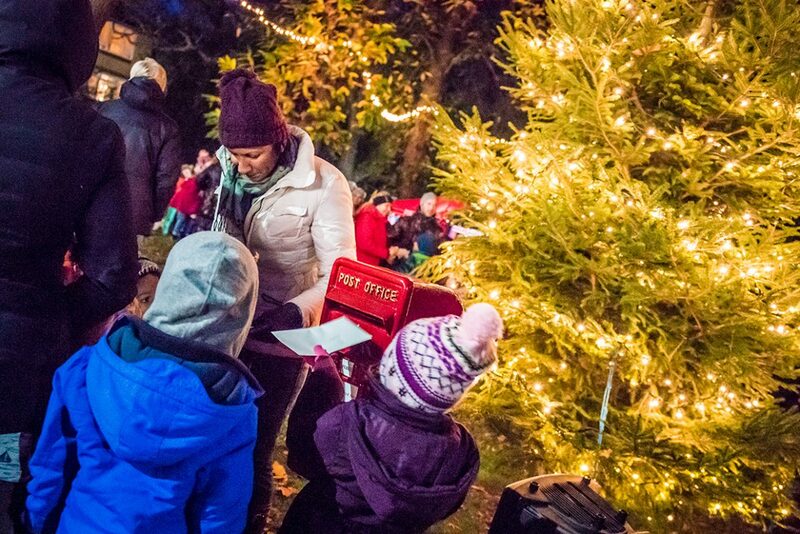 The very special Santa’s letterboxes in Southbourne offer a FREE postal service, delivering letters directly to the North Pole, and is situated on Southbourne Community Green so that little ones can post their Christmas stocking wishes to jolly old St Nicholas. If the letter has a response address, which we strongly recommend to add, it’s very likely that Santa will find the time with all his little helpers to send a response!